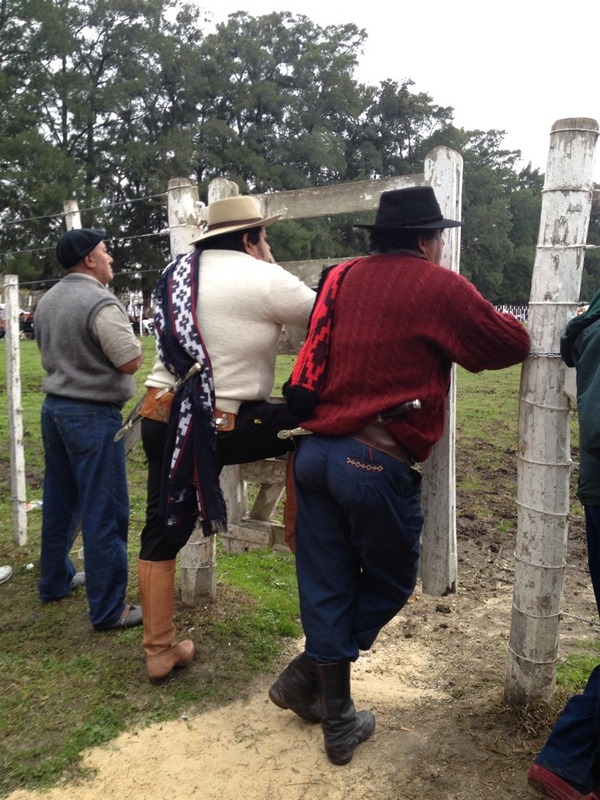 Our whole team has been snapping every photo we can of the famous Argentine gauchos we encounter. 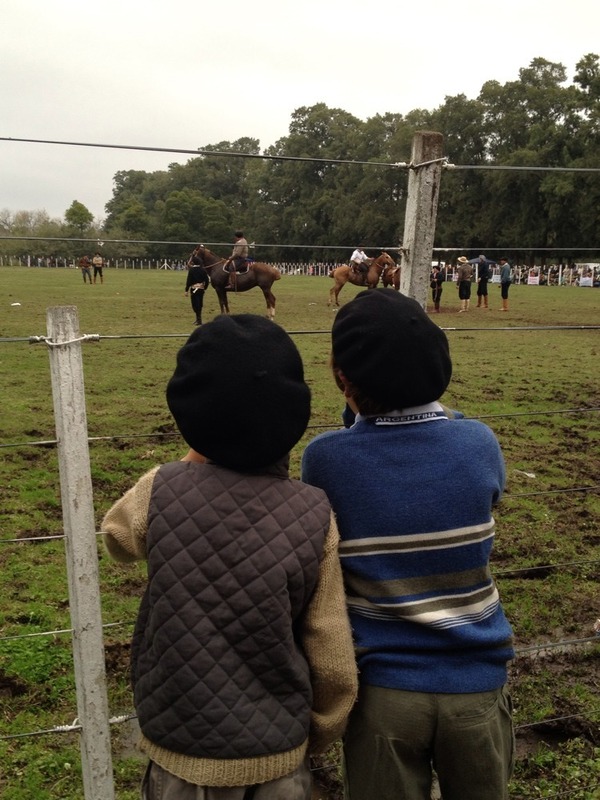 We hit the jackpot in the town of General Madariaga – known as ‘The Gaucho City’ where it just so happened that the bi-annual National Festival of the Gauchos was going on. 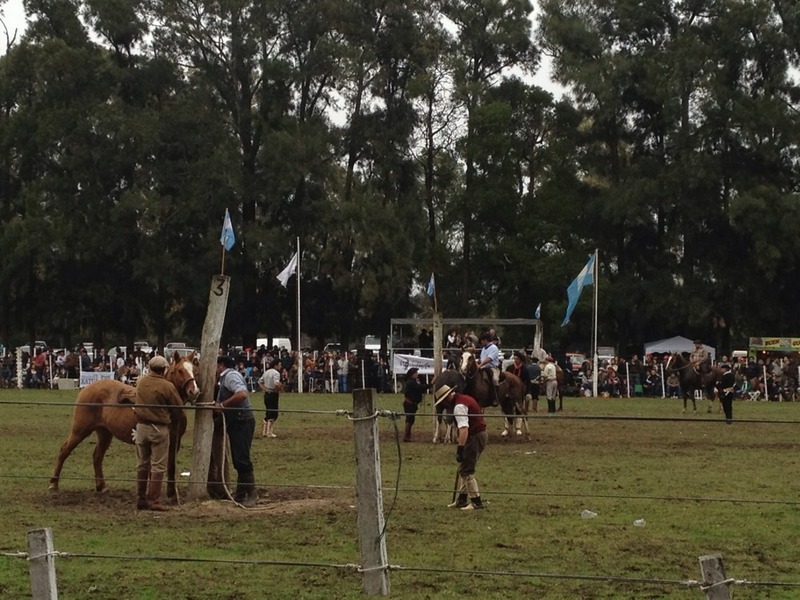 Here’s a glimpse of rodeo – Argentine-style. 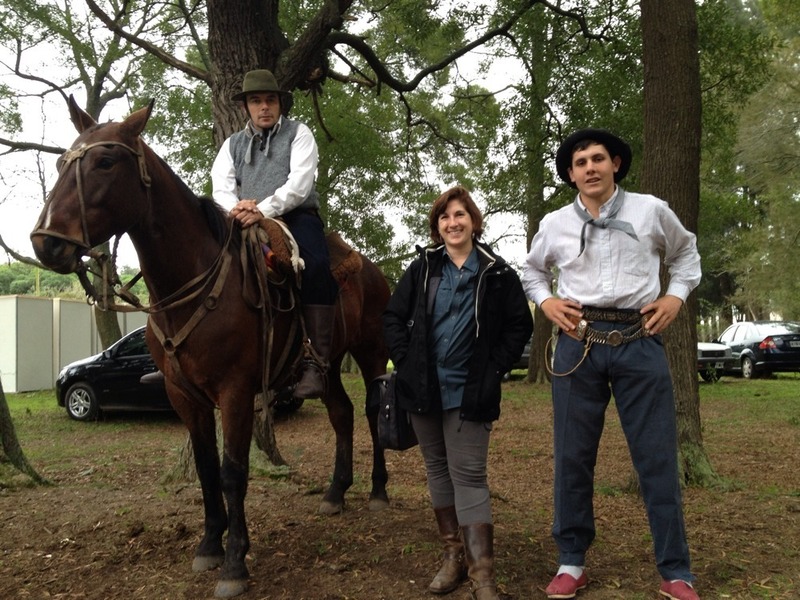 We made the news in our last town, General Madariaga. 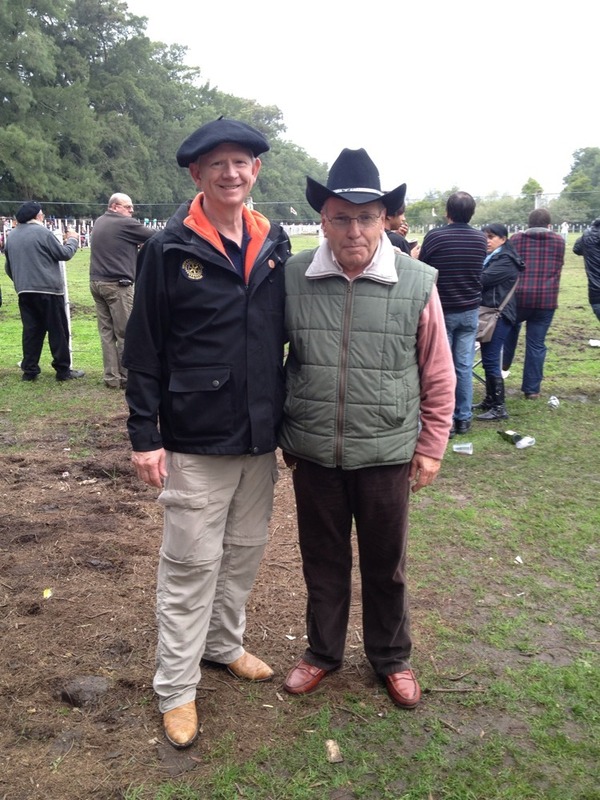 We now find ourselves safely in Mar del Plata but we are thankful to our wonderful hosts and the good times we had this past weekend– from an asado, a visit to a museum of natural history, to birthday parties, a gaucho festival (or rodeo) and a delicious good bye potluck dinner. Many thanks to everyone in Gral. Madariaga for being so good to us. 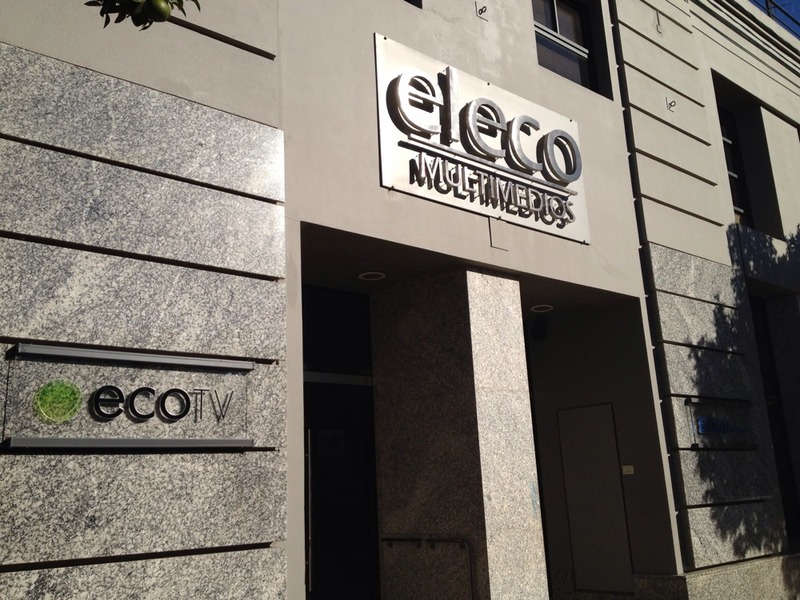 In Tandil I had the chance to visit the multimedia company El Eco – which has a newspaper, television channel, digital site and music and news radio channels. 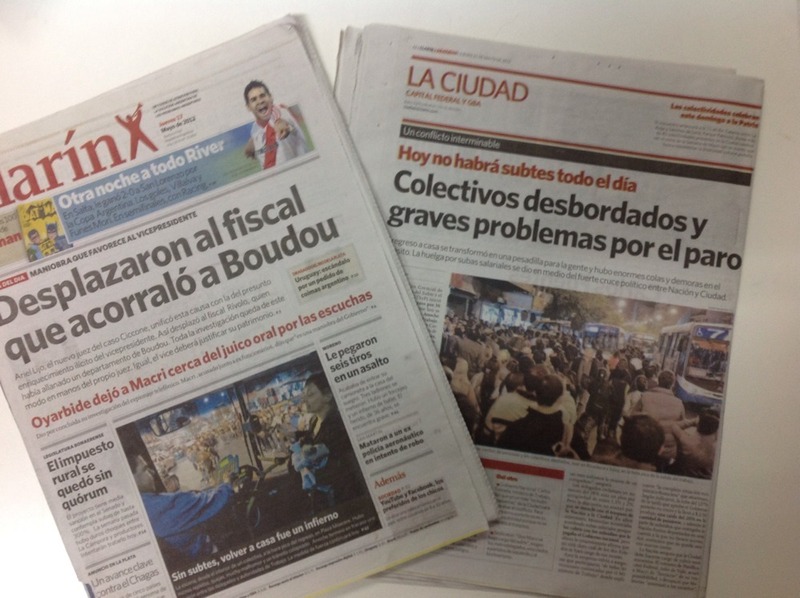 One of the things I have found interesting in Argentine media is the number of media outlets with multiple channels – typically radio & TV or radio & newspaper. 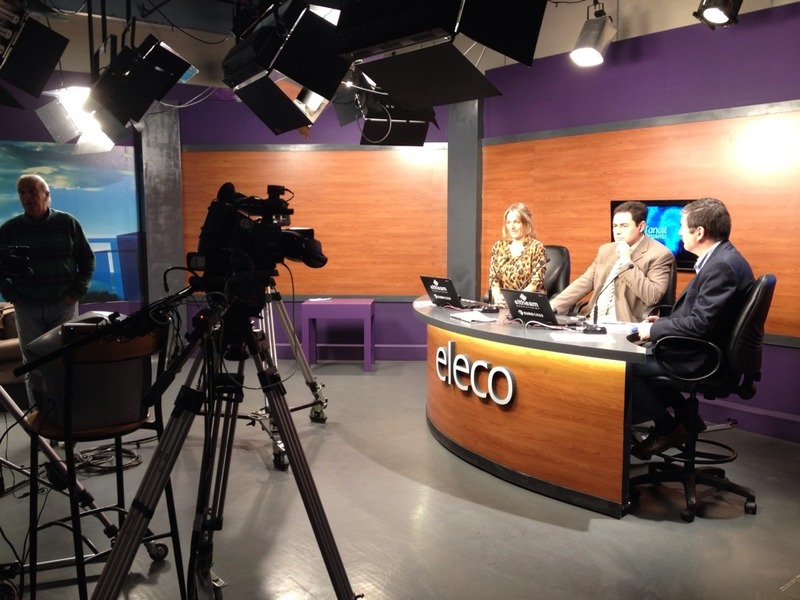 This company encompassed all three and an impressive digital presence as well http://www.eleco.com.ar/ Online they have taped programming from radio and TV news programs daily. They told me they do share news resources between the different mediums. The graphic designer I met produces ads for the paper, graphics for the TV broadcasts and digital banners for the website. 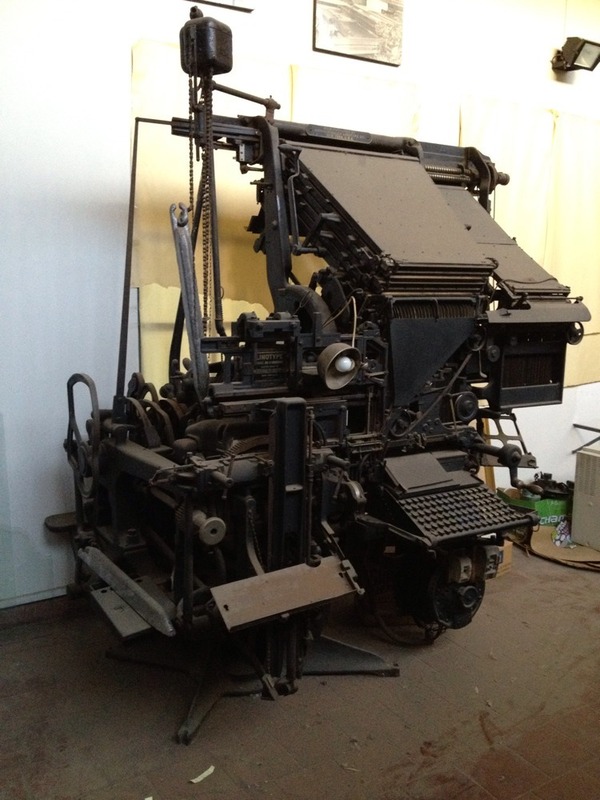 The media company also had an amazing museum in their building and a photo of their 1891 Linotype from New York is included below. 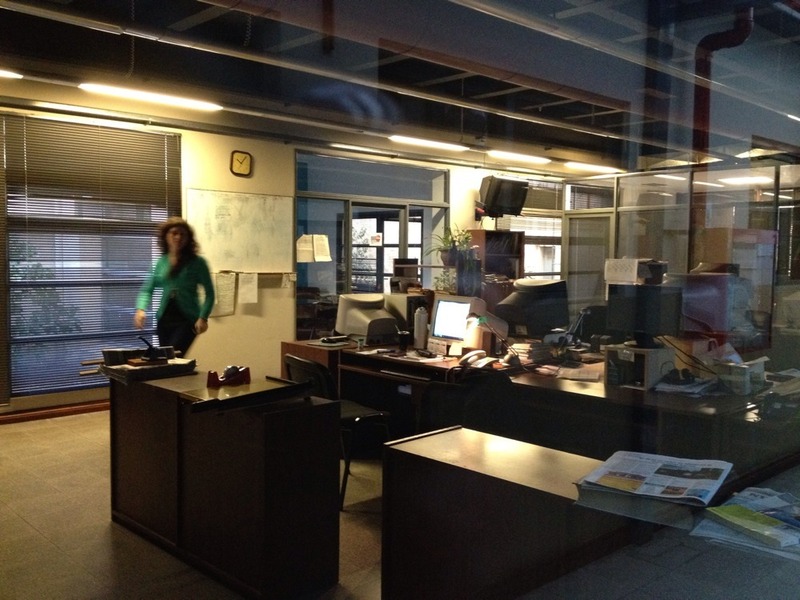 I loved that their newsrooms actually hd windows and light! 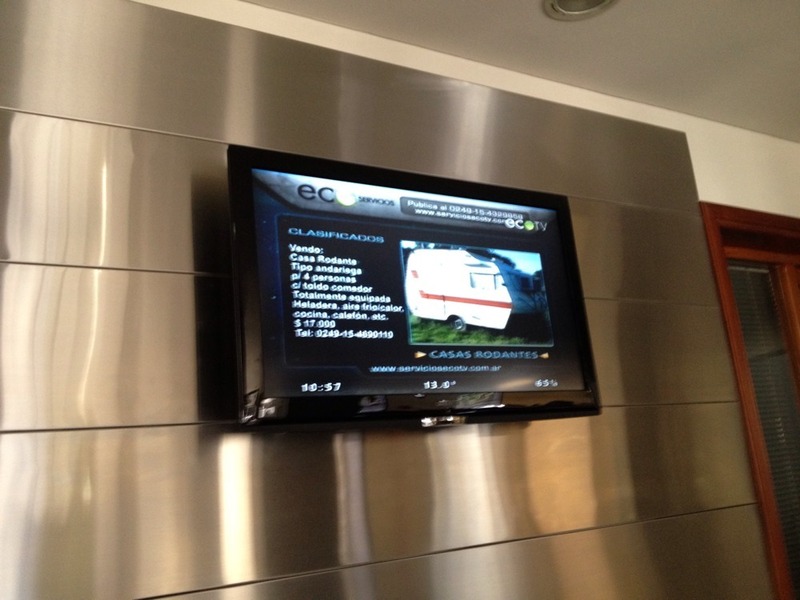 And that they has a digital display in their reception area showing classified ads and info from the paper. 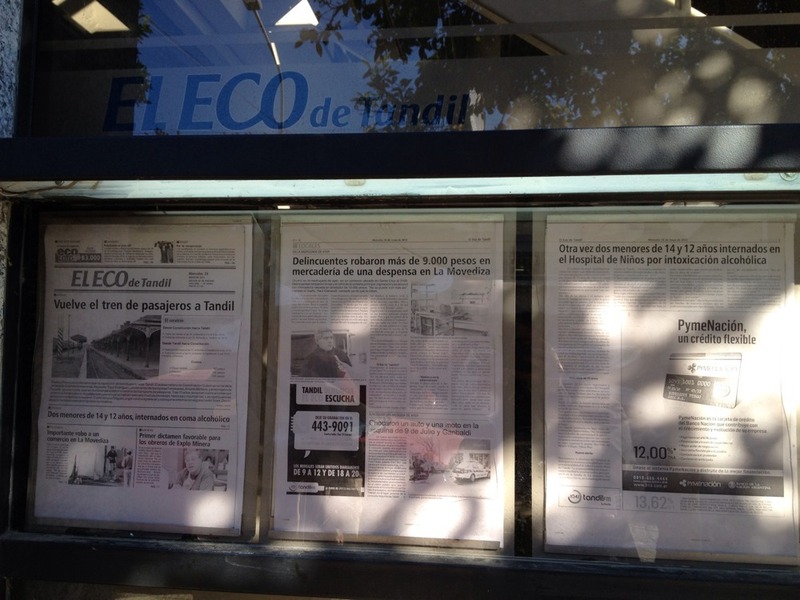 And the old school – but still useful – posting of the day’s paper in the front window. 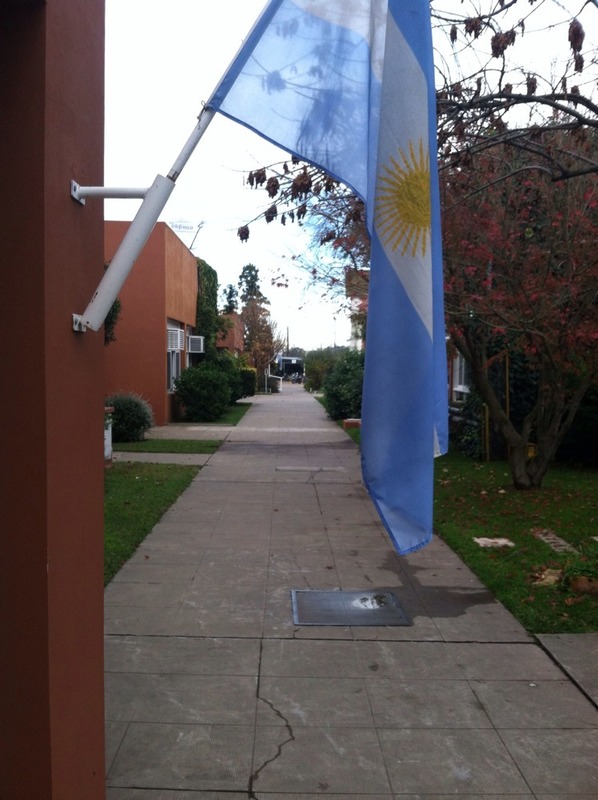 Since Santa Rosa, I have visited three additional cities in the Buenos Aires region. 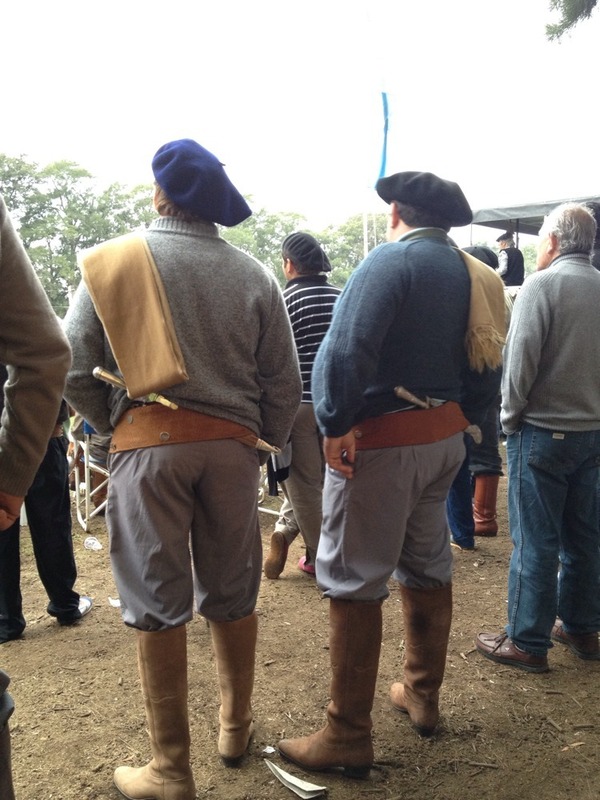 Trenque Luegen and Bolivar and Colonel Surueze. Santa Rosa has the most transportation services available to any of the communities we have visited however, it’s not to say that the other communities haven’t addressed their transportation needs in other ways. Santa Rosa had a population of 102, 610 and had transportation system that included a fixed route system (see prior blog). Trenque Luegen had a population of 40,000 and actually had no fixed route transit system, rather the municipality had a few buses designated to provide services to the schools, and senior center. A matter a fact, many of the community members said that meeting the needs of the elderly, disabled to access to health care, quality of life services was their responsibilities and could access the taxis and/or request assistance from their family members. Bolivar had a population of 32,442 a beautiful community and like many of the others we visited was centered around a plaza. The community offered no transit, and I couldn’t find a taxi so I am assuming they didn’t exist. There were however a large amount vehicles, and unfortunately while I there I saw two crashes. Colonel Suerez, has a population of 22,624 and had transit! Well, sorta. The services offered in Colonel Suerez were very few but present. The community has three neighboring unique German colonies, many of the community members commuted to Colonel Suerez and once in town they could connect to the fixed city route the circled the downtown area (which isn’t to big, but had a route nonetheless). 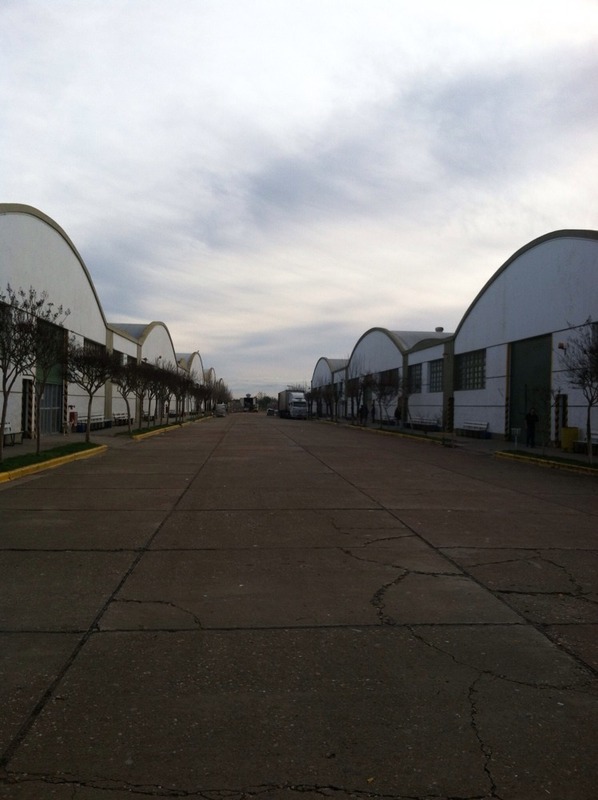 Colonel Suerez also had the largest Reebok factory in the world! We toured the factory and was amazed at the quantity of shoes that are produced and the amount of employees it takes to make 15,000 shoes a day! 3500 employees work at the Reebok factory in three eight hours shifts. The employees come from the three neighboring colonies and are transported there by Reeboks own bus or they bike. Actually, biking looked as the most popular form of getting around, even on the dirt and cobblestone streets. The young and old alike. 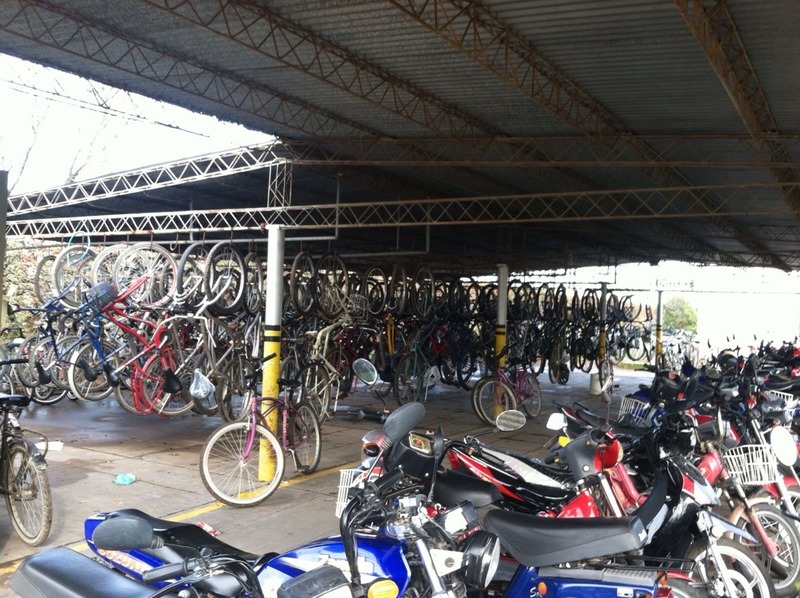 Reebok had quite a large bike storage area (see photo #). The Reebok factory campus was well organized and remarkable clean, we were unable to take photos of the inside but provided a few photos of the outside for you to view. 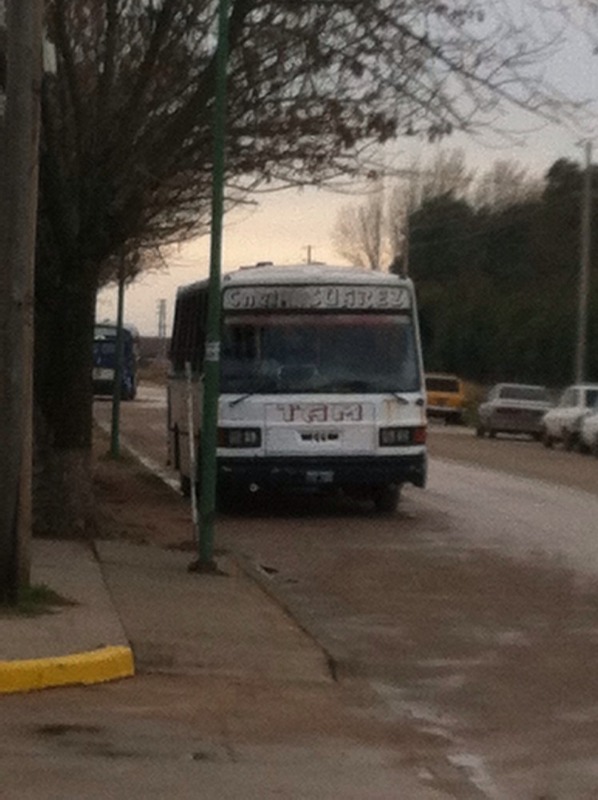 The trend with rural transit in Argentina is really no different then the states. The need for transit is evident and there exists transit but just like in Idaho, communities are spread out and very rural. 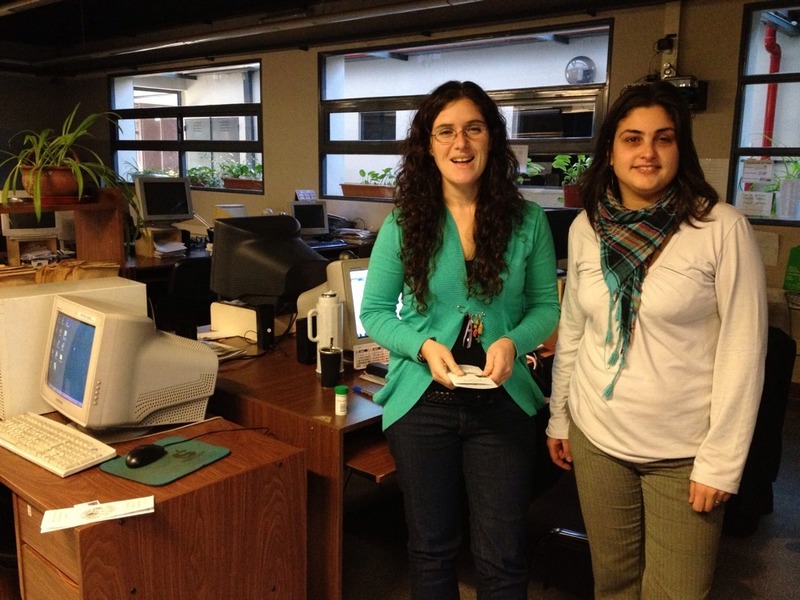 The main employment and necessary services are located in the center of town. The communities we visited each recognized the need but also emphasized the responsibilities of the families to help provide for their family members. 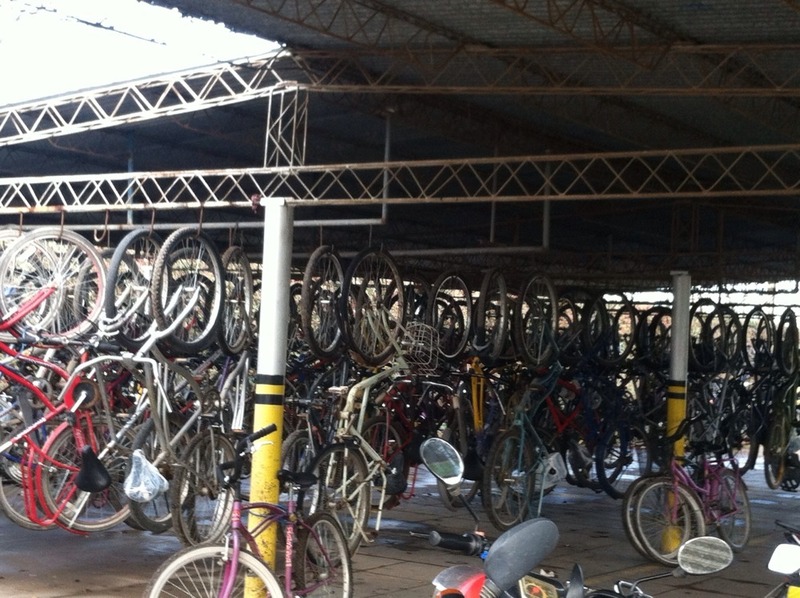 I will say however, within each of the communities bicycling was used by all! 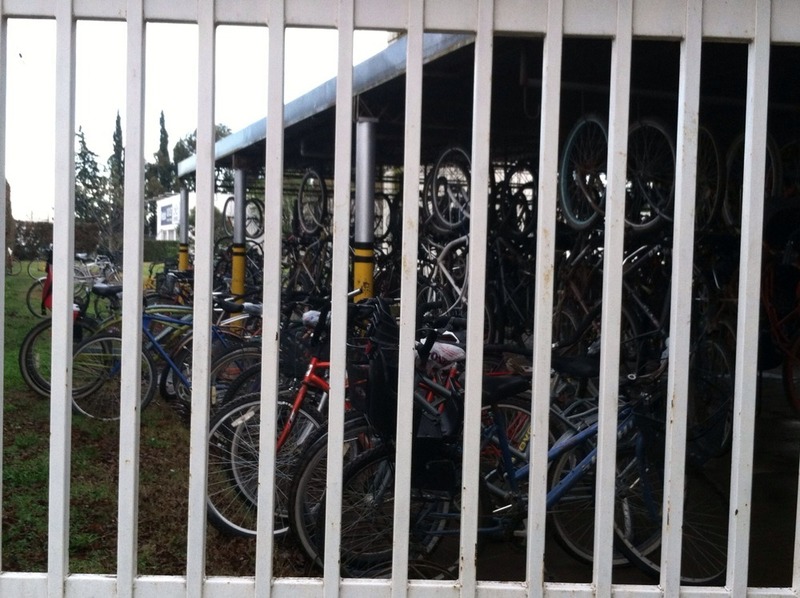 Almost all bikes had baskets on the front and clearly were put to good use. I was delighted to see the number of elderly folks using bikes as a means to get around, navigating the streets and sidewalks with confidence in almost every city we visited. El pueblo de Coronel Suarez y la ? ?rea alrededor eran lleno de historia y Rotarios bien interesante. El equipo de IGE estuvo solamente tres d? ?as en Coronel Suarez, pero cada d? ?a pas?? con mucha actividad. En Coronel Suarez el club de Rotary tiene algunos socios que son muy activos y nos pasamos mucho tiempo con ellos. Eso grupo de socios nos llev?? a un restaurante hist? ?rico ?? ?El Gringo Viejo??? la primera noche donde comimos una cena muy rica que incluy?? aperitivos, fiambre o antipasto (incluy?? pan, queso, aceitunas, salame y chorizo), pasta, pollo, carne, patatas y un bar de postres (foto). Fue una buena manera de empezar nuestro tiempo en Suarez! El d? ?a siguiente visitamos a la f? ?brica de Reebok ubicado en el pueblo y nos impresion?? mucho. La fabrica produce 15,000 pares de zapatos cada d? ?a y ahora 3,500 personas trabajan all?? con producci? ?n 24 horas al d??a. Aunque no pudimos sacar fotos, todos salimos con im? ?genes de todo el equipo, maquinas de cocer, y componentes que son necesarios a hacer un zapato. Incre??ble! Visitamos Las Colonias que cosiste de tres pueblos distintos que son de Alemanes. Aprendiendo de la historia de c? ?mo la gente lleg?? y empez?? 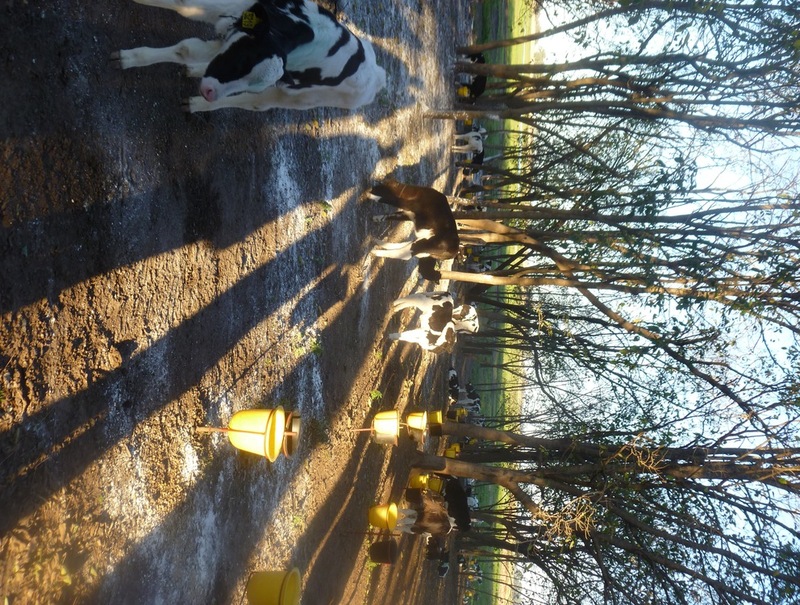 en los campos y ranchos fue muy interesante. Tambi? ?n conocimos a la iglesia tan linda en la segunda colonia que fue construido con dinero de los inmigrantes. La segunda noche presentamos de nosotros y a Idaho a los ciudadanos y los socios de Rotary en una biblioteca apoyado por Rotary. M? ?s tarde en la noche cenamos tranquilamente con los socios del Rotary club de Suarez (foto). El ? ?ltimo d? ?a en Suarez pasamos en el campo hermoso de la familia Sim??n. La familia, con los otros socios de Rotary, nos prepar?? un almuerzo de asado. 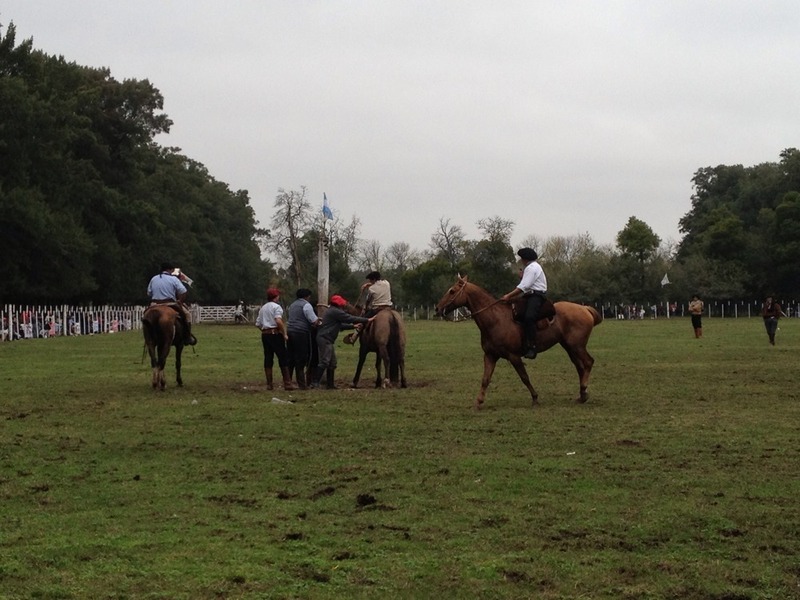 Montamos los caballos y gastamos tiempo afuera gozando el aire tan fresco (foto). Esa noche fuimos a la reuni? ?n del Rotary club de Las Colonias donde presentamos a los socios. El club es muy animado y al fin de la noche bailamos con m? ?sica toc?? por acorde? ?n de un socio (foto). Much? ?simas gracias a las familias anfitrionas en Coronel Suarez quien nos cuidaron tan bien y aseguraron que cada minuto de nuestro visita fue divertido! 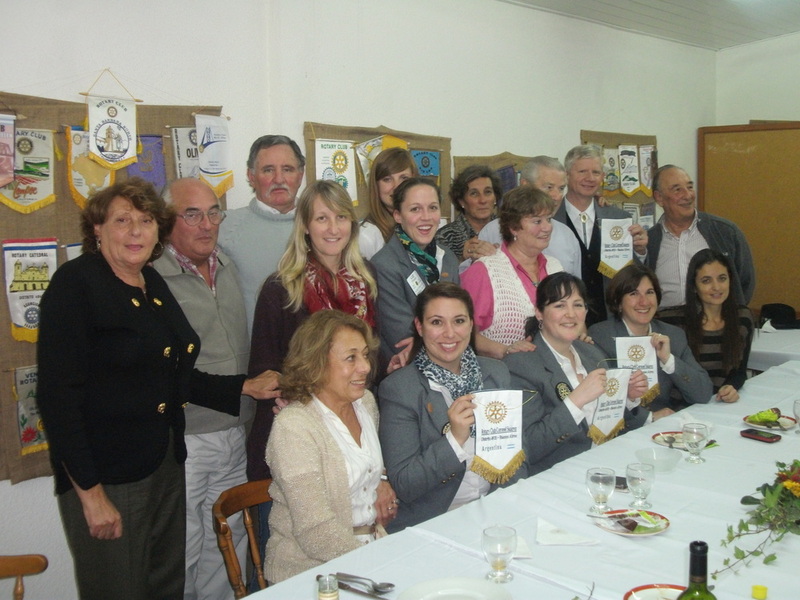 The small town of Coronel Suarez and its surrounding area were filled with interesting history and Rotarians. 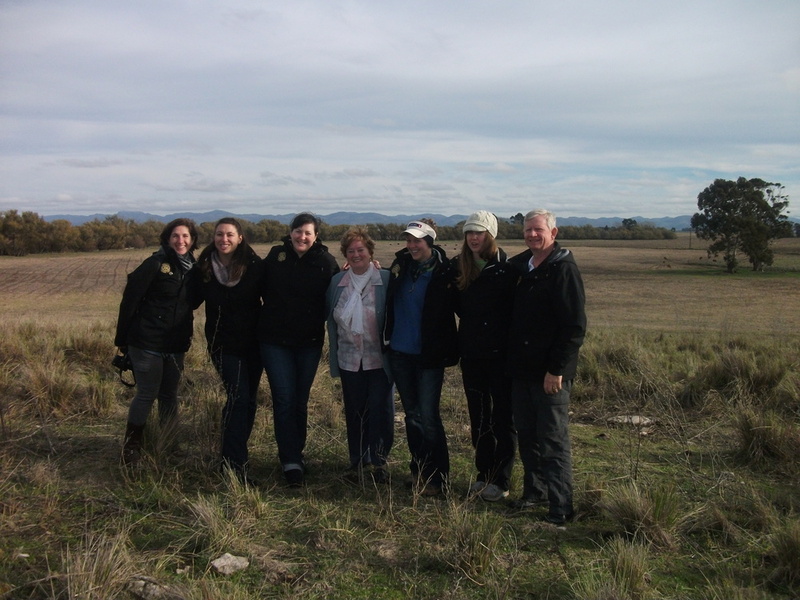 The Boise GSE team had a short stay in Coronel Suarez, but each day was full of activity. In Coronel Suarez the Rotary club has a few very active members whom we were able to spend a lot of time with while we were in town. This group took us to a great historical restaurant ?? ?El Gringo Viejo??? our first evening where we had a great dinner which included aperitifs, fiambre or antipasto (includes bread, cheese, olives, salami and chorizo), pasta, chicken, beef, potatoes and a dessert bar (photo). It was an amazing way to start our time in Suarez! 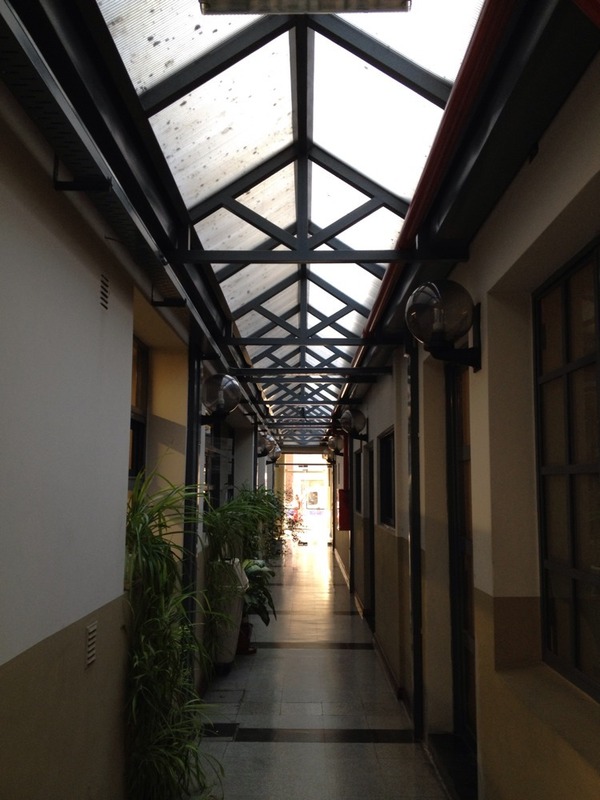 The following day we visited a Reebok factory located in the town and we were very impressed. 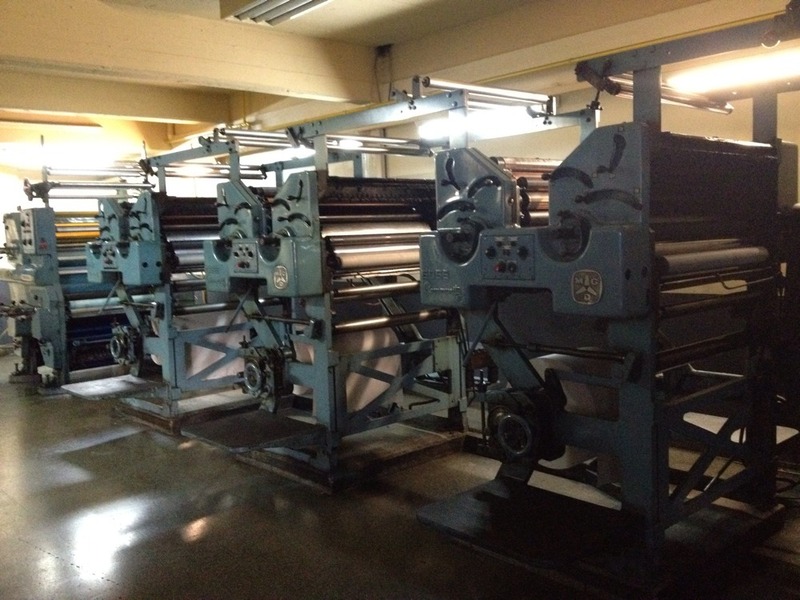 This facility produces 15,000 pairs of shoes daily and currently employees about 3,500 people with production running 24 hours a day. While we weren?? 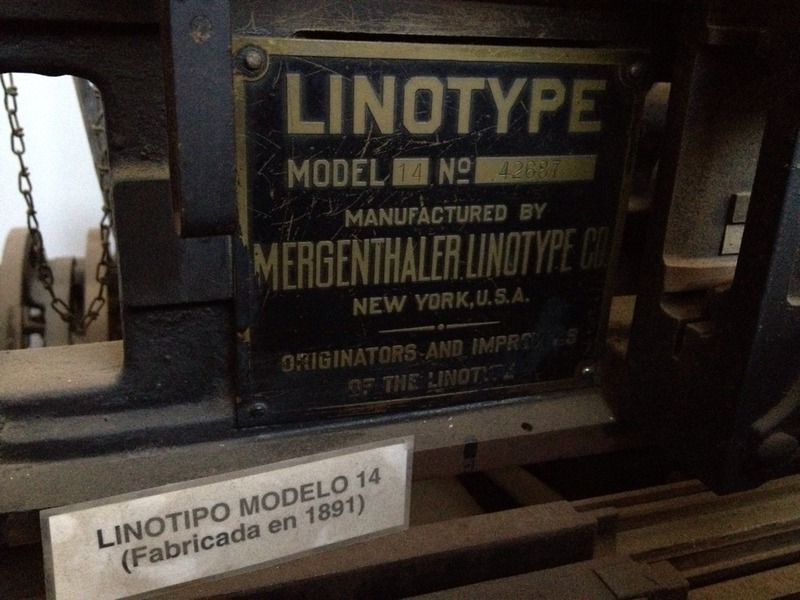 ?t able to take photos, we all left with images of all the many tools, sewing machines and parts it takes to make just one running shoe. Incredible! We also were able to visit ?? ?Las Colonias??? which comprises three different small communities of German immigrants. Learning the history of how the people arrived and started their farming and ranching was great. We also visited the beautiful church in the second colony which was built with funds from the various immigrants. The second night we presented about ourselves and Idaho at a Rotary sponsored library for Rotarians and for the public. 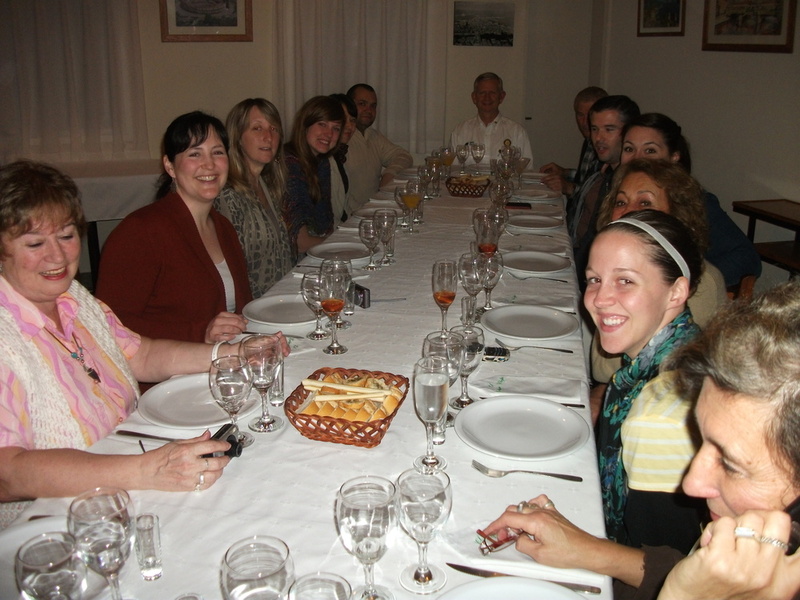 Later in the evening we had a relaxing dinner with the Suarez Rotary members (photo). 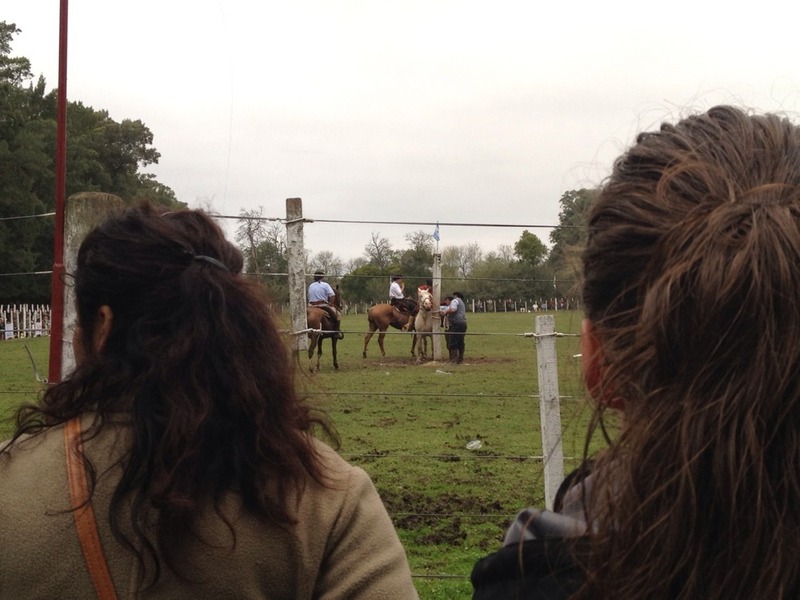 Our final day in Suarez was spent at the lovely ranch of the Simon family. 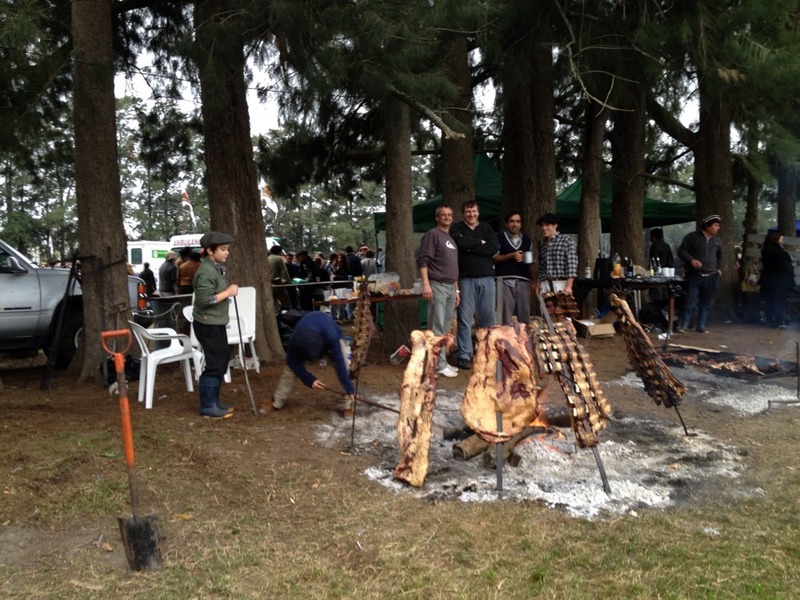 They along with the other Rotary members were kind enough to provide us with a delicious asado lunch. We were able to ride their horses and enjoy their beautiful property by just walking around and taking in the fresh air (photo). 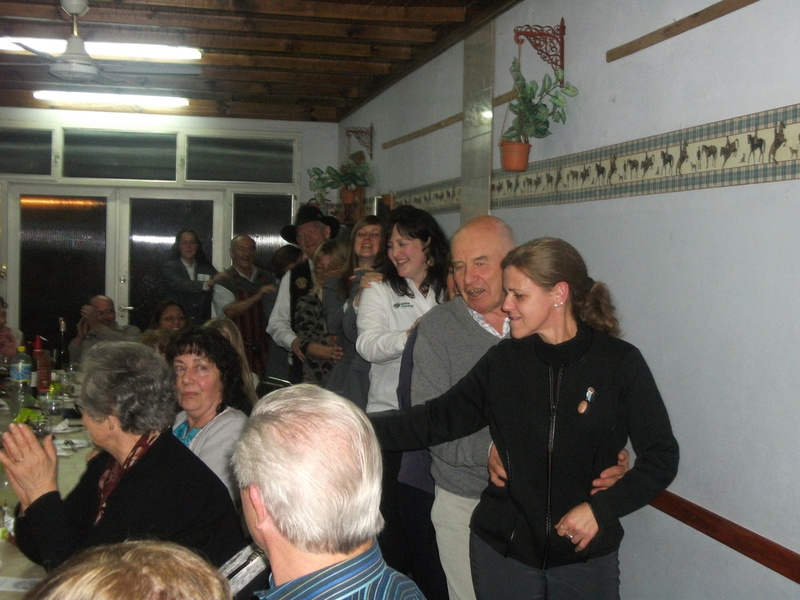 That evening we attended the Las Colonias Rotary dinner where we shared our presentation. That group was definitely a lively one as we ended up dancing in a sort of conga line to polka music provided by a Rotarian playing the accordion (photo). Thanks to our kind host families in Coronel Suarez who took such great care of us and ensured we enjoyed every minute of our short visit! 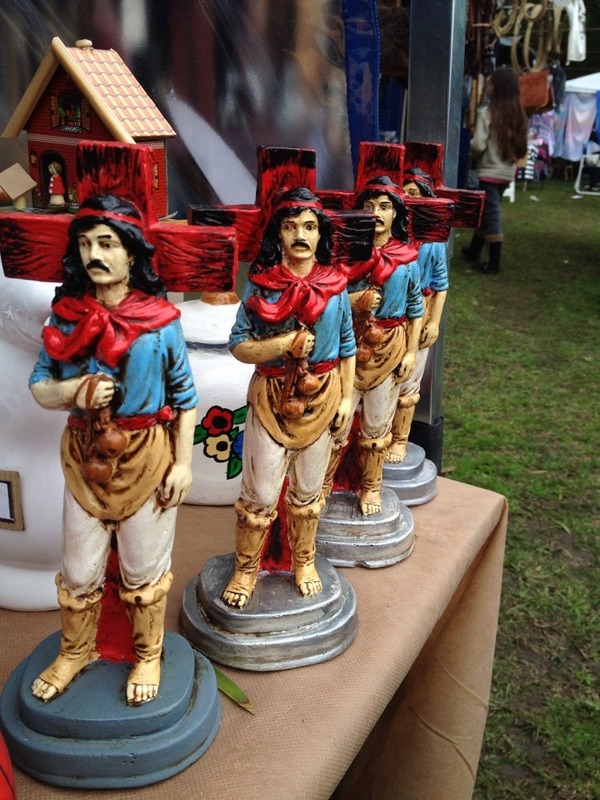 Los tres d? 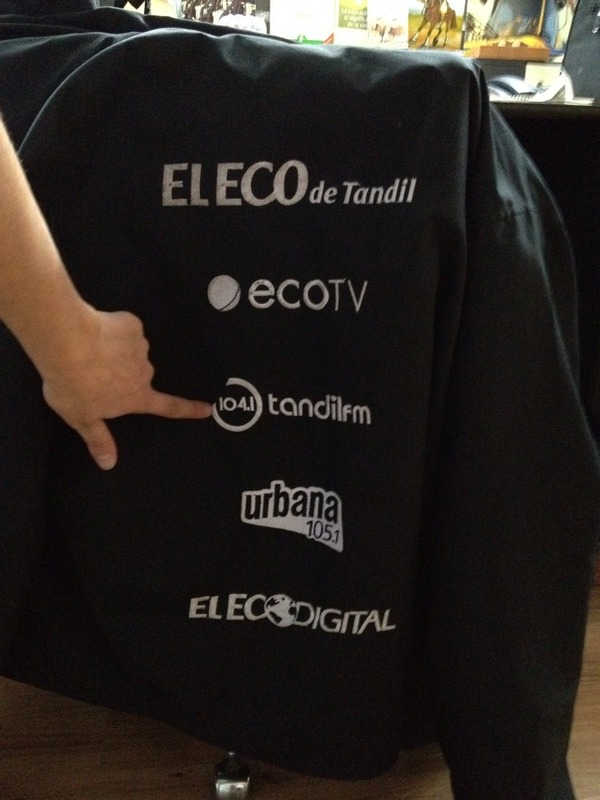 ?as en Bol? ?var eran muy divertidos y ocupados. ? ?ramos muy afortunados de nuevo a conocer a Rotarios tan amables y a quedarnos con familias anfitrionas maravillosas. Empezamos con un giro de la ciudad que fue excelente donde aprendimos mucho de la historia. Fue interesante aprender como la ciudad fue planeado tan bien desde el primer d? ?a y a la misma vez aprender de la rivalidad entre los espa? ?oles y los italianos. Visitamos a la iglesia, la municipalidad, el teatro y el parque que fue tan hermoso. Durante nuestro tiempo en Bol? 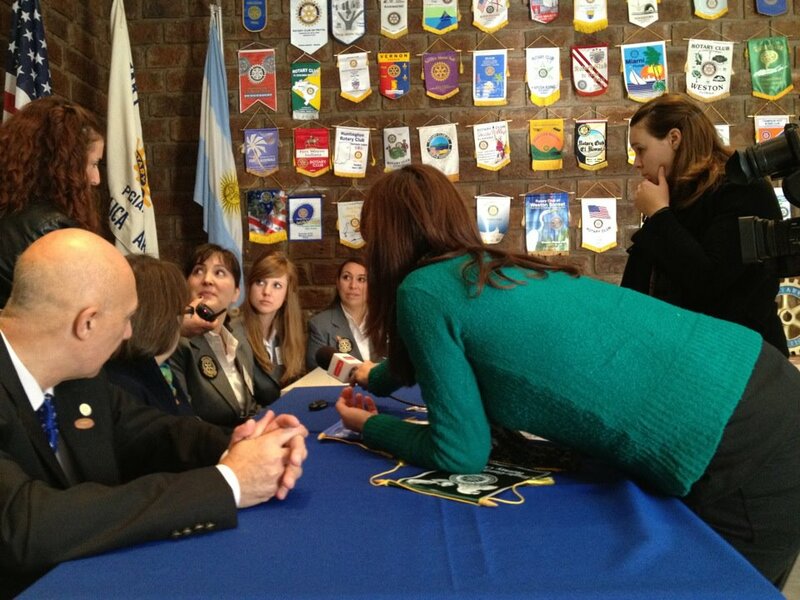 ?var, reunimos con el intendente y hablamos del intercambio de Rotary (foto). Tambi? ?n tuvimos la oportunidad de ir a un tambo. En este tambo aprendimos mas del proceso despu? ?s que los terneros nacen (vimos dos partos!) 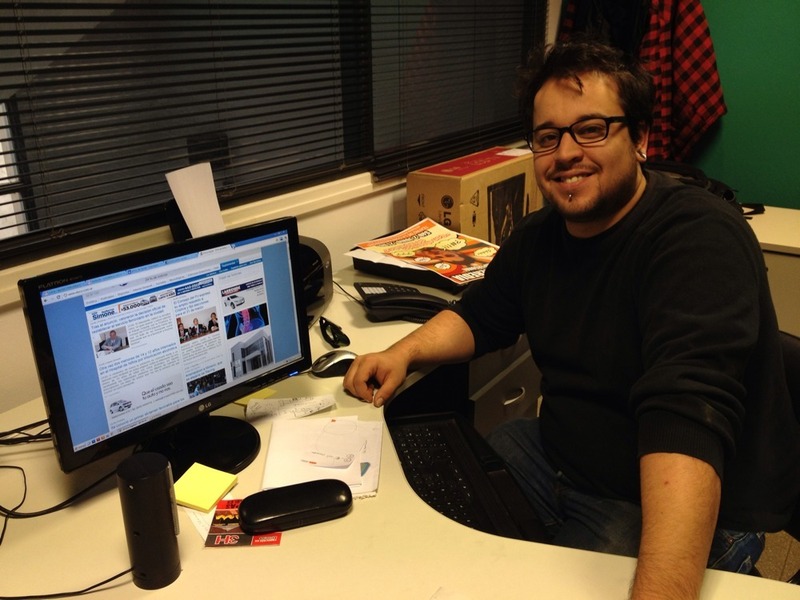 y como son criados hasta que son inseminados y son parte del tambo oficialmente (foto). Una noche hicimos la presentaci? 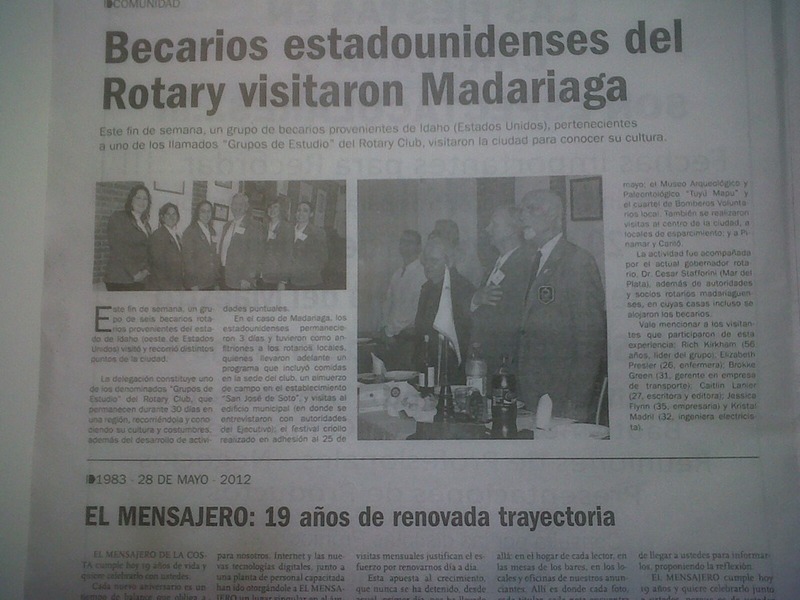 ?n al club Rotary de Bol? ?var en su casa de Rotary y fue una placer a conocer a los socios. En el ? ?ltimo d? ?a en Bol? 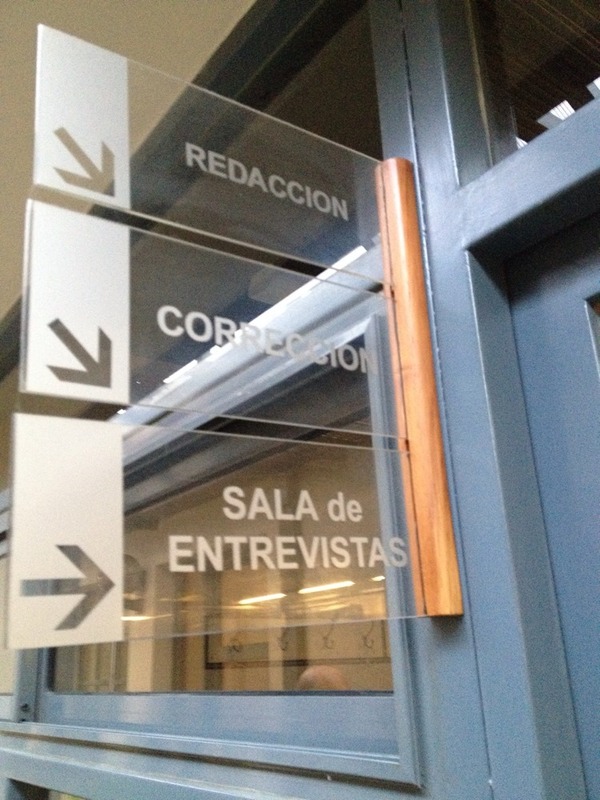 ?var, tuvimos una conferencia con la prensa (foto) con el peri? ?dico y con la estaci? 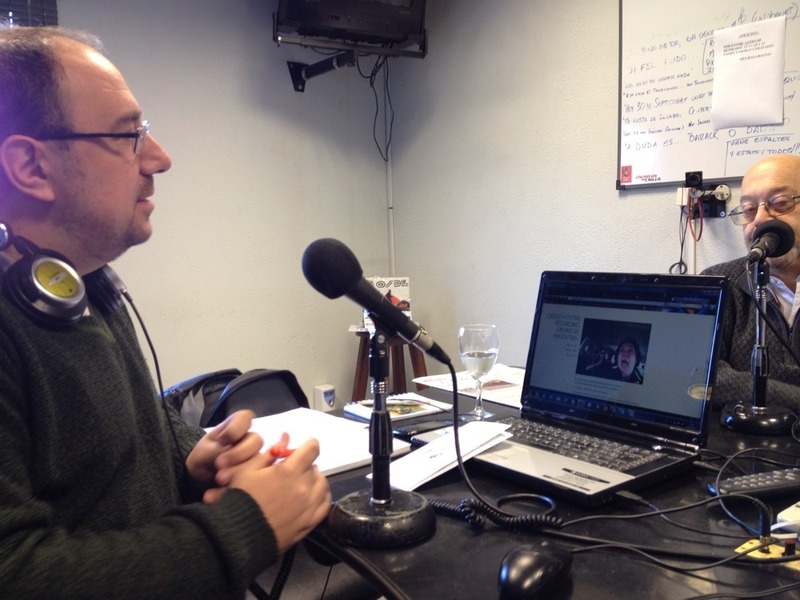 ?n del radio (una entrevista en vivo). Tambi? ?n fuimos a La Pulper? ?a que es un mercado y bar viejo que todav? ?a est?? abierta al p? ?blico y es como un museo. Ve a la entrada de Jessica abajo por m? ?s informaci? ?n y fotos. Otra vez fue dif? ?cil cambiarnos a Coronel Suarez y dejar a la gente tan linda de Bol? ?var, pero eso es parte de este intercambio. Siempre estamos cambi??ndonos! 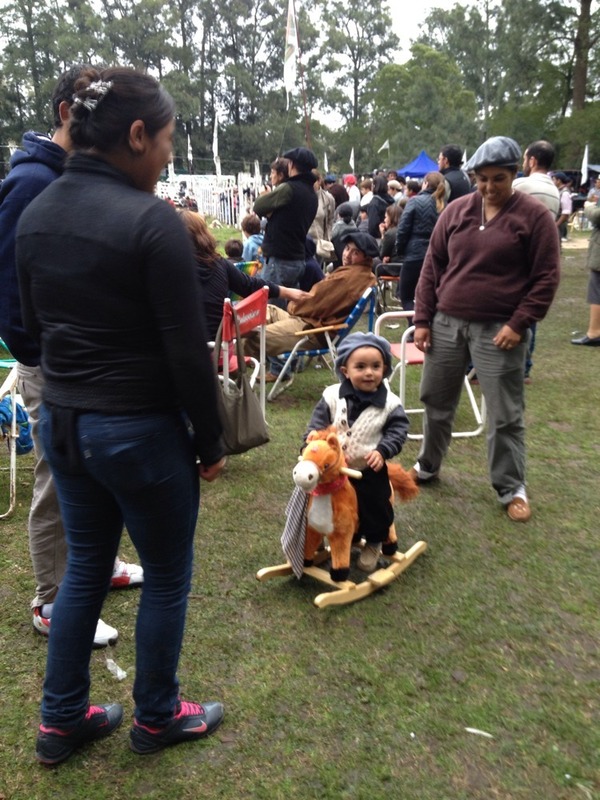 Our three quick days in Bolivar were fun-filled and busy! We were fortunate again to meet great Rotarians and stay with wonderful host families. We started off with a great tour of the city where we learned much of the history about the city. It was interesting to learn how well planned the city was from its inception and also to learn about the rivalry between the Spaniards and the Italians. We visited the church, town hall, the theater and the beautiful park. 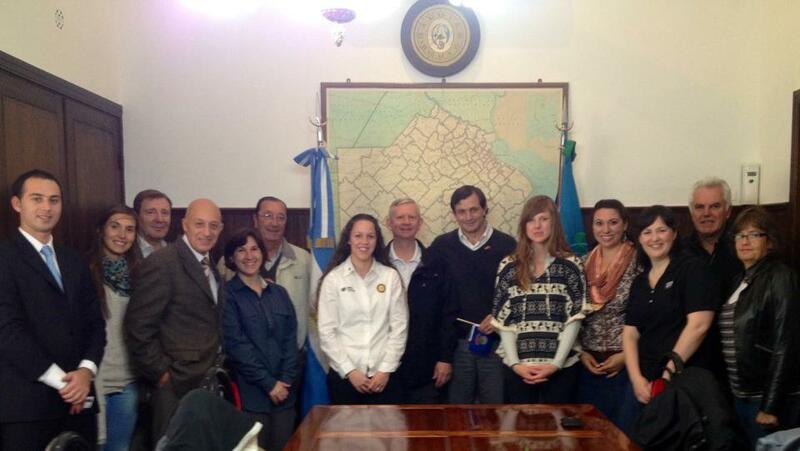 During our stay in Bolivar, we met with the mayor and chatted about the Rotary exchange (photo). We also had the opportunity to visit a dairy. 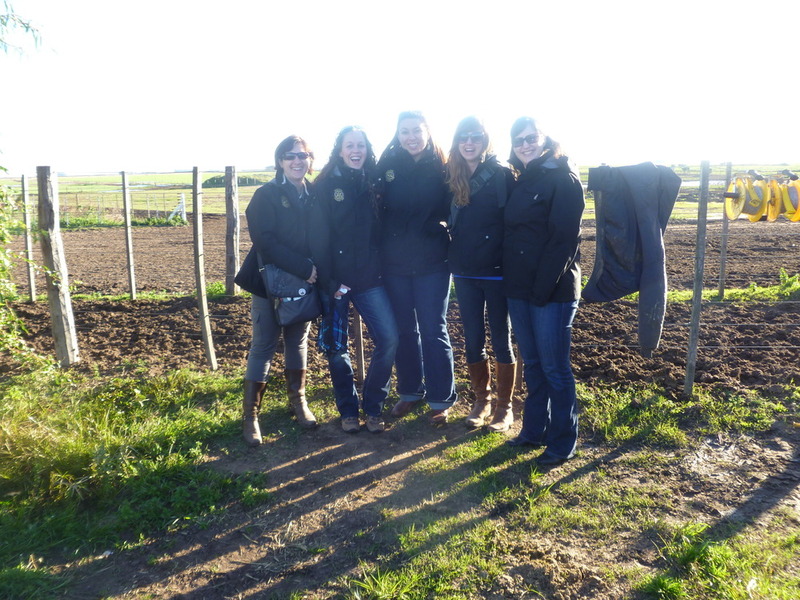 At this dairy we learned more about the process once the calves are born (we saw two calves be born!) and how they are raised until they start they are inseminated and really become working dairy cows (photo). One evening we gave our presentation to the very kind Bolivar Rotary club at their clubhouse and enjoyed meeting their members. On our final day in Bolivar, we had a press conference (photo) with the local paper and radio station (a live interview). We also went to ?? ?La Pulperia??? which is an old-time general store and bar, which is still open to the public and serves much like a museum. See Jessica?? ?s post below for more information and photos. It was once again tough to move on to Coronel Suarez and leave the lovely people of Bolivar, but that is part of this exchange. We are always on the move! Subway shuts done in Buenos Aries as a result of salary disputes. 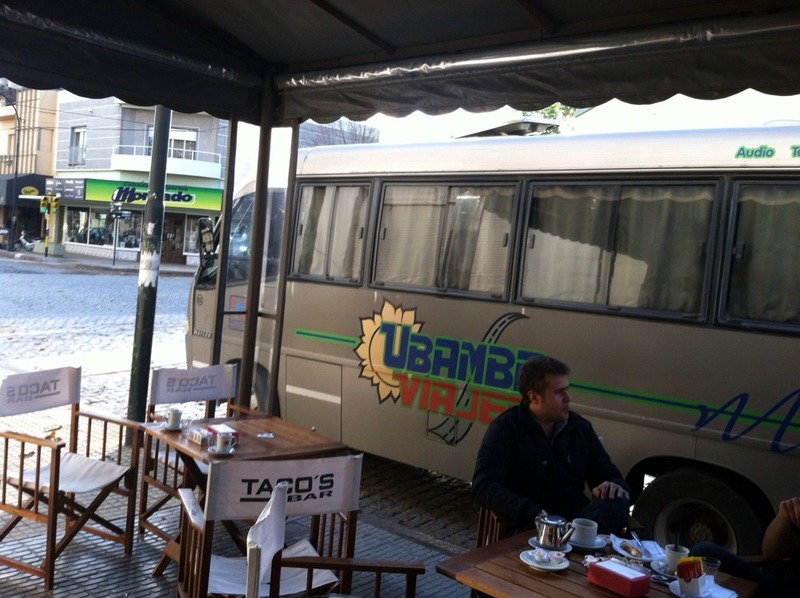 I suppose we will not be using the subway when we stay over in BA at the end of the trip.